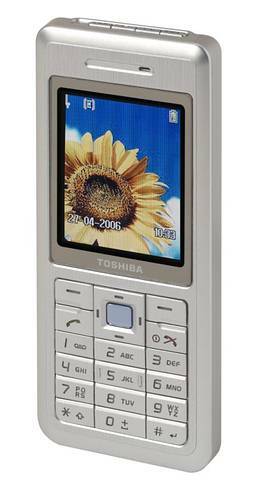 Toshiba TS608 which available exclusively to the Vodafone network, is also known as the Toshiba TS30 in Asian markets, is an ultra-slim and thin 9.9mm triband GSM phone handset. Toshiba TS30 / Toshiba TS608 features 1.3 megapixel camera, 1.9″ 176×220 pixel 262,000 colours QVGA LCD display, Bluetooth, FM radio, microSD expandable memory (up to 512Mb) slot, a web browser and email client. Toshiba TS608 or Toshiba TS30 supports and acts as background MP3 playback player, USB mass storage device and an MP4 video player, and weighs 81 grams. Mobile Gazette concludes that Toshiba TS608 is an attractive and competent handset. However, Toshiba have struggled to make much impact in Europe as their handsets tend to be very similar to Sharp’s who also have an exclusive arrangement with Vodafone. The TS608 is a little different though, and it might meet with more success.